We love receiving the pictures from the actual wedding day. It's just not the same when we take pictures of a bouquet while we're wearing a t-shirt and jeans and our work bench is in the background. 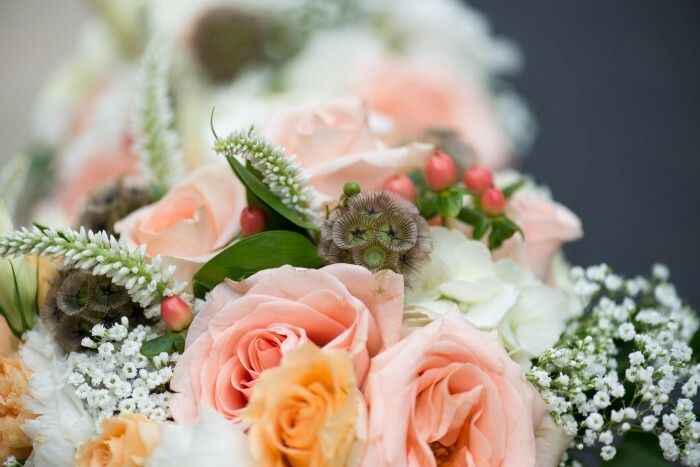 These bouquets had wonderful texture and color. Roses, babies breath, hypericum, hydrangea, and unique scabiosa pods. Take a look!